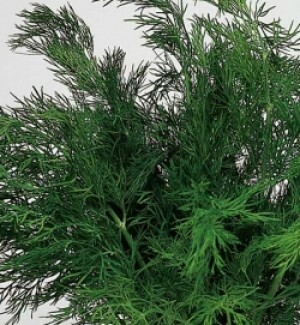 This is another herb which both the seed and the leaves (dill weed) are used. Renowned for its digestive qualities, it has been used to ease colic, reduce flatulence and diarrhea and aid digestion. The three foot plant germinate in 2 weeks and the lacy leaves can be harvested after the plant is 12 inches tall. The seeds form in about 2 months.